This popular candy packet is filled with Skittles®! 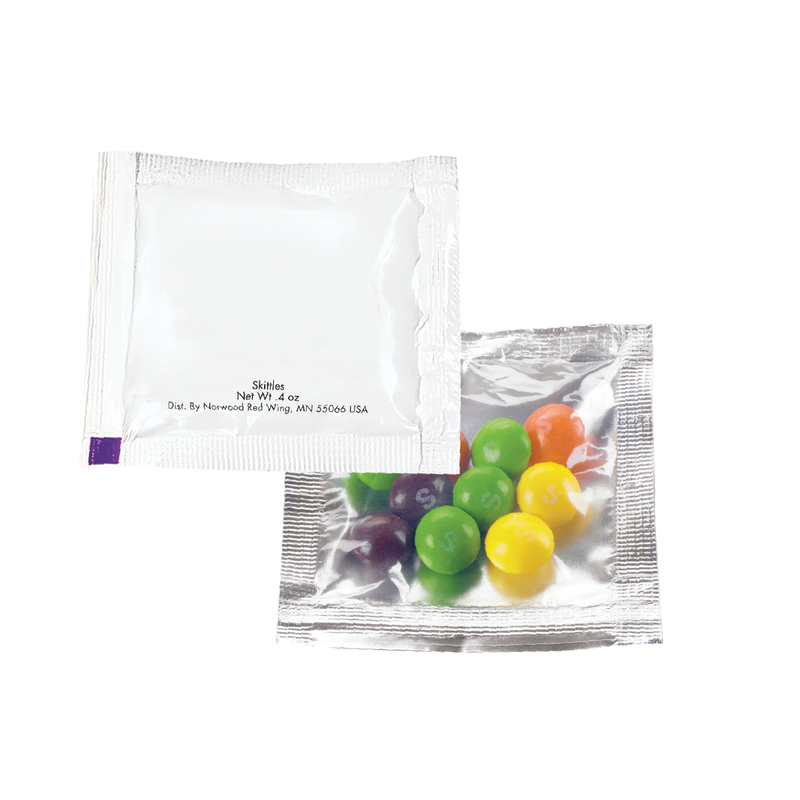 This product comes in 3" x 3" candy treat packet and is sure to be a big hit. Imprint Area: 1.87" x 1.5"